First post of 2016 and I didn’t want to disappoint you. You might be thinking “What took you so long?” I can definitely answer that question. Try to fight migraines which comes back after every 5 ~10 days, working on a tight schedule, learning a new framework and finishing NUMSys (yes learning a new framework was part of NUMSys Web Edition). I’ve really spent a lot of time into this pet project of mine and I’m really proud of the results. 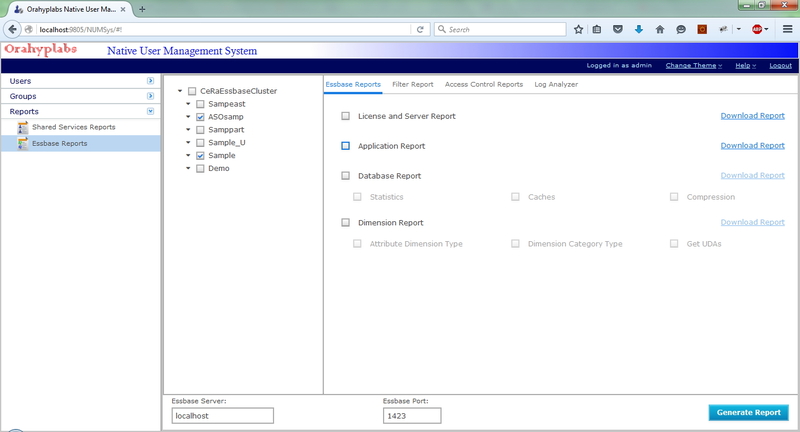 I take this opportunity to introduce to you the latest release of NUMSys with Essbase Reports. Even though the blog post calls it as a Security Viewer – it is more than that and you’ll know why. 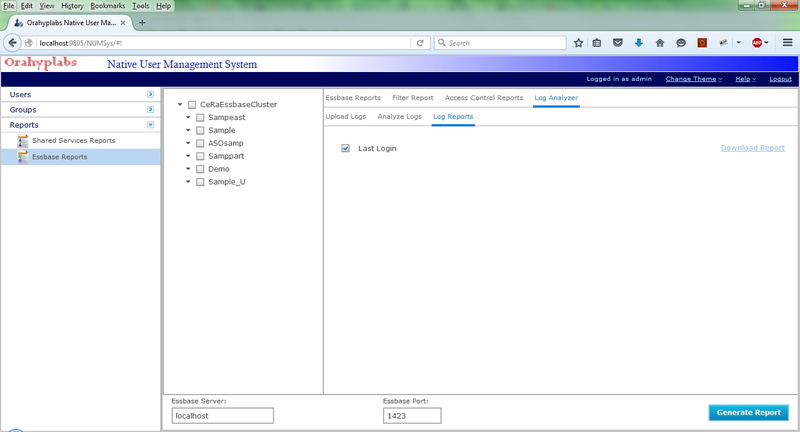 From this version onwards you’ll see another reporting component added to NUMSys – “Essbase Reports”. 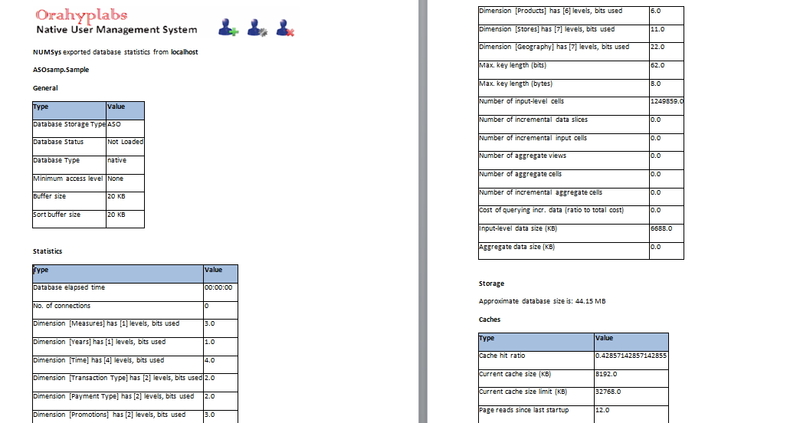 Thank you Kishore Mukkamala, for planting the idea of Essbase Stats Reports. 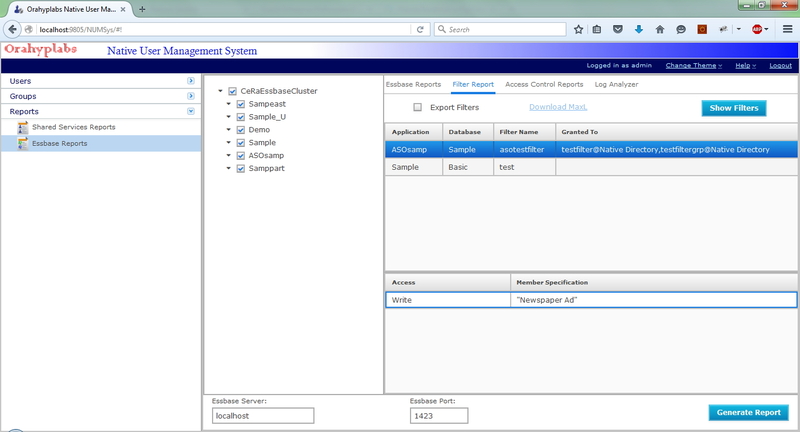 It’ll pull the existing Essbase applications registered with Shared Services. This will extract license information and some server statistics like security file fragmentation, Essbase CFG errors and some CFG settings. 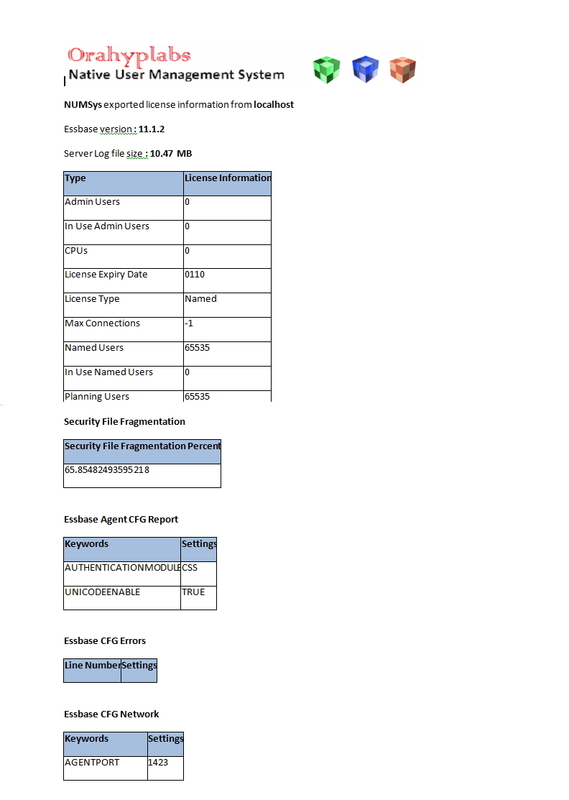 This is similar to the one above, provides you statistics, caches and compression information of databases. Information on all dimensions, how many members are stored, udas, dimension type,…. Keep in mind that this will not provide a dimension extract. 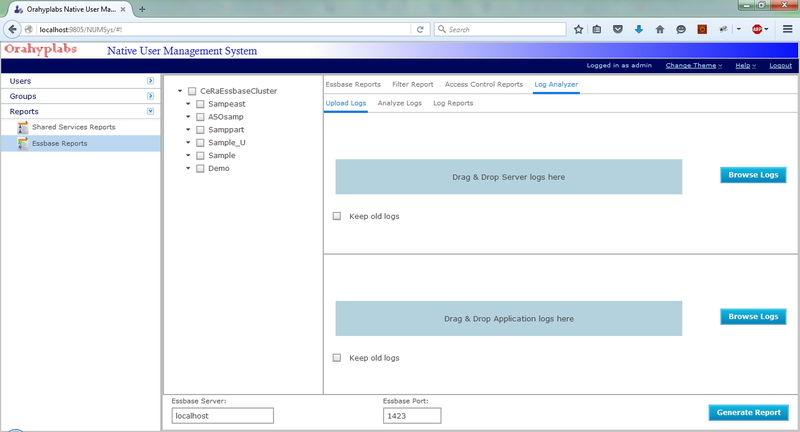 You can view the existing filters and their assignment by selecting the applications. Filter definition can be populated by selecting the filter. You can export the filters as MaxL statement along with their assignments. I ended up making the decision of adding a database to NUMSys and loading the log files to that DB. Now came the question which one should I use, I first chose Derby as I’ll be able to ship that along with the software, however went against it as the querying language is slightly different than what we all know. I had to replicate what EPM configuration tool does :), while installing NUMSys it’ll configure the required databases. You’ve to add the required JDBC jar files in the lib location of the installer. 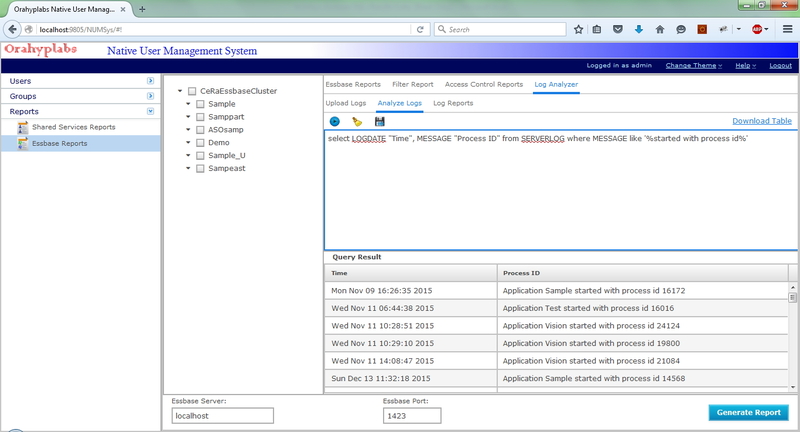 You can drag and drop the log files into NUMSys (or use the Browse Logs button) to upload the log files. You’ve the option to select multiple log files. You can also choose to keep the old logs, if not NUMSys will truncate the tables while uploading the files. 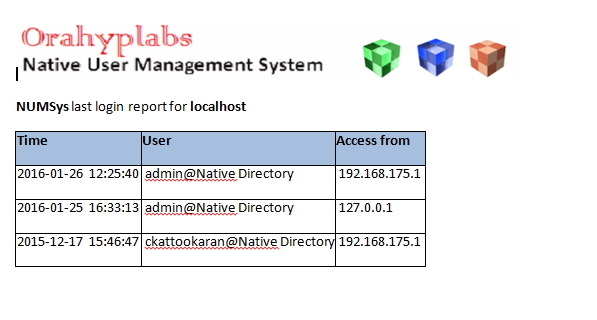 I had hard time figuring out how to name the columns, like what does Local mean, so I turned to the experts (Cameron Lackpour, Tim German and John Booth – thank you for your thoughts). Cameron was of the opinion that all log files are local to Essbase, so what is it!!! Anyways this is what I came up with, so if you’ve suggestions let me know I’ll try to update the columns names in coming versions. 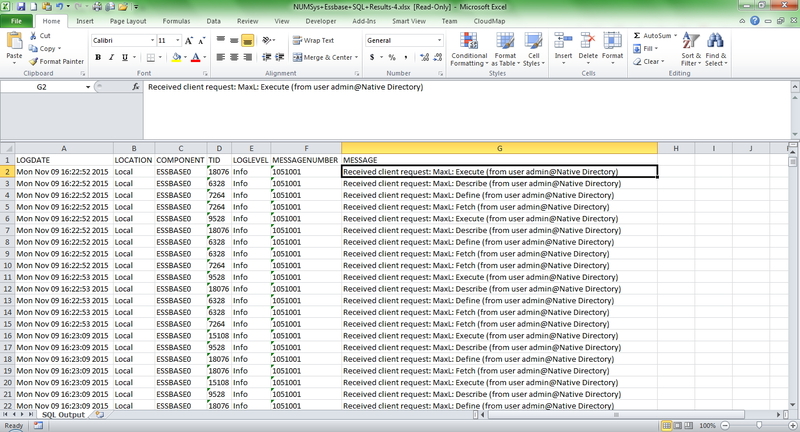 You can export the query results if needed using the “Export Results” icon. 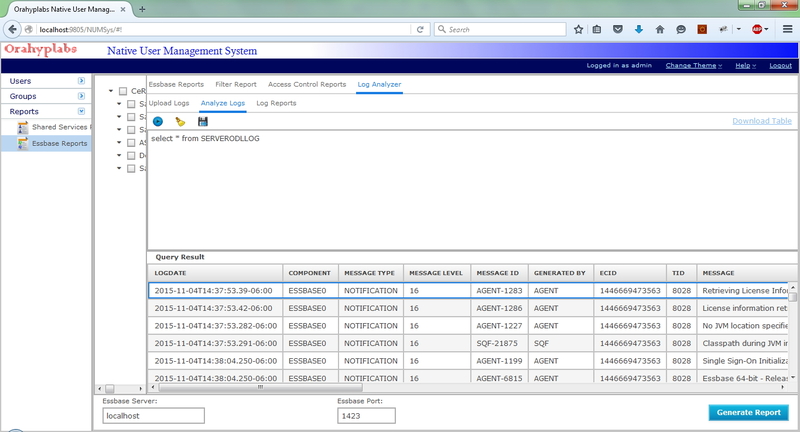 Last Login report will provide you with a list of users, their last login time and from where they accessed it. In coming releases I’ll add a command line version where you can schedule the log upload and run the log analyze reports. 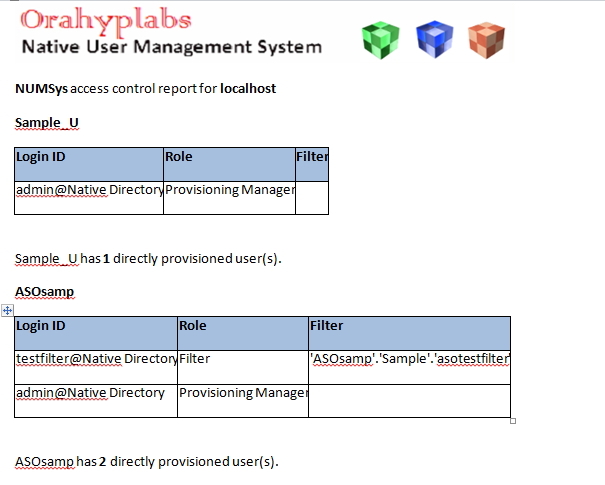 Adding the database now allows me to do more fun stuff, like enable auditing for User/Group operation in NUMSys. You can find NUMSys documentation here. You can download NUMSys Web Edition (3.2) from here. It would have been nice if there was a way to track Workspace logins as well as user auditing of workspace objects. I'm looking for a way to figure out what web analysis reports are really used and what are not accessed at all. WebAnalysis usage tracking is not captured anywhere. So that cannot be tracked. Hi Celvin, this seems to have been fixed in the latest release 3.3 THANKS ! did you copy the required jar files to the lib folder? Try this version, I've added logging to the installer. That one tells me that you don't have the right JDBC jar file in the classpath. Can you paste the CLASSPATH line that you updated in the sh file. I have put the sqlijdbc.jar and uncommented the classpath line and now another one..
You don't have sqljdbc4.jar in the classpath, what you've is sqljdbc.jar:lib/sqljdbc4-2.0.jar. I guess you need some help getting this setup. I can do this on weekend. you can email me and we can jump on web session and I can guide you. Wow, you are a brilliant guy offering your support! However i dont want to waste your time nor to transform this into a help forum so I'll try to sort it out myself. I'll keep you posted with the outcome. Many thanks once again! Can you post the error message you are getting this time. Hi Celvin, I had another try with your latest version but seems not to want to work…Let me recap maybe you can figure it out whats wrong.